Douglas Troester is a former shift supervisor for Starbucks Corporation. 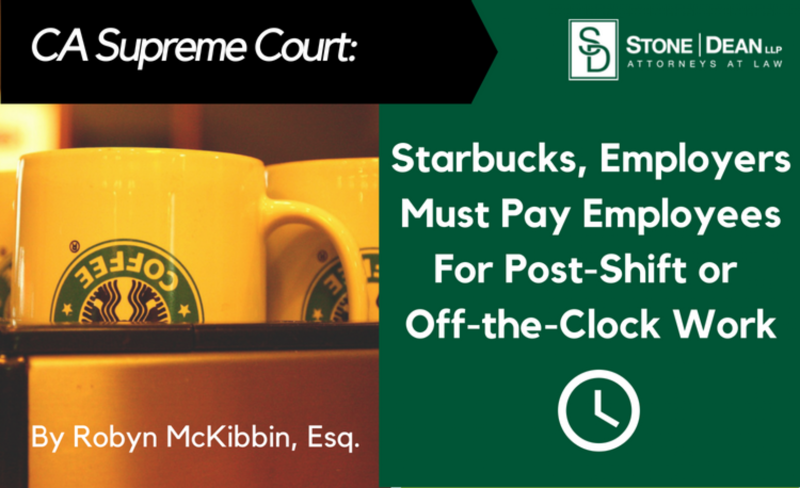 He sued Starbucks on behalf of himself and other non-managerial employees who performed closing tasks from mid-2009 to October 2010. Starbucks’ software required Troester to clock out before initiating the software’s “close store procedure” on a separate computer. The close store procedure transmitted daily sales, profit and loss, and store inventory data to Starbucks’ headquarters. Troester then activated the alarm, exited the store and locked the front door. In compliance with Starbucks’ policy, Troester also walked coworkers to their cars, and occasionally reopened the store to allow employees to retrieve items they left behind, waited with employees for their rides to arrive, and brought in store patio furniture mistakenly left outside. The undisputed evidence was that these tasks took Troester four to 10 additional minutes per shift. Over his 17-month employment, this added up to 12 hours and 50 minutes. At the then-applicable minimum wage of $8.00/hour, this amounted to $102.67 in unpaid wages, exclusive of penalties or other remedies. This holding does not undermine valid rounding policies where the time an employee punches in or out is rounded up or down. A rounding policy will be deemed valid if it is fair and neutral on its face, and it used in a manner that will not result in a failure to compensate an employee for all the time actually worked. 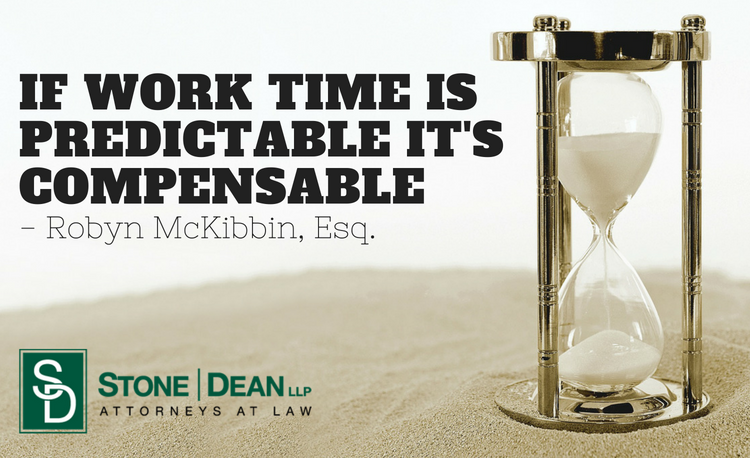 The takeaway is straightforward: if the work time is predictable, it is compensable. Employers should determine whether their practices require employees to regularly or routinely work for several minutes without compensation. If so, the employer must find an alternative that allows the tracking of these small amounts of time. Tasks may have to be restructured so that the work is not performed before or after clocking out. Employers might need to invest time tracking tools such as a smartphone app. If neither restructuring nor technological alternatives are viable, employers might be able to reasonably estimate the work time and adopt a fair rounding policy to compensate employees for that time. It is better to capture all the time worked rather than litigate whether the uncaptured time was regular or infrequent. Employers looking to review their policies to ensure compliance with the California Labor Code should contact the Employment Law Experts at Stone | Dean. Please visit our Employment Law Practice Area page for more information, or contact the author Robyn McKibbin, Esq. 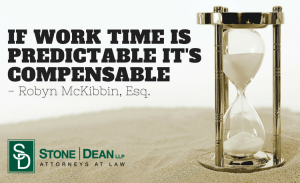 by emailing her at rmckibbin@stonedeanlaw.com.